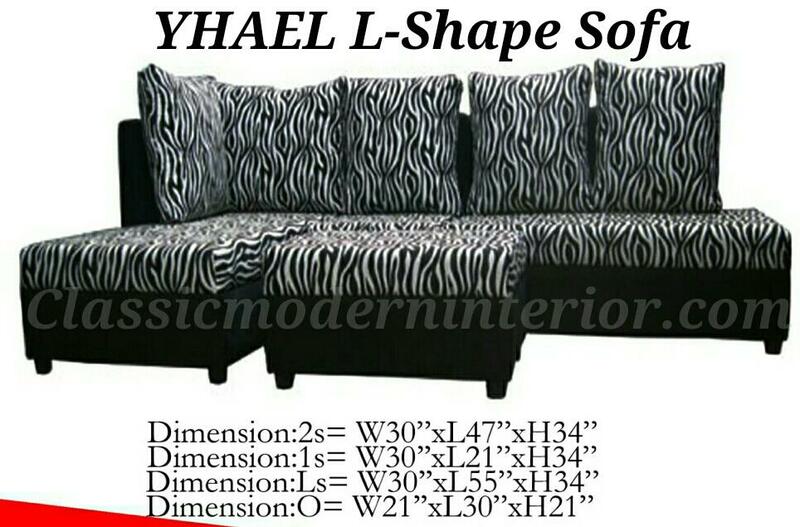 Yhael Corner Lshape Sofa with Stool. Available in Black, Brown fabric. Dimension : length 98" x width 55" x height 34".